Born in Connecticut 1986. I was adorable. Reached 20,000 Solution Watch subscribers Wow! PostgreSQL, MySQL, SQLite. Strong understanding of SQL, Database Design, Normalization, Data Migration, Performance Optimization. Web Application Development using the Django Framework and general Python management scripts. Co-Found Parallel in 2005 and managed a small team of talented designers and programmers working on projects of all shapes and sizes. Started Solution Watch early 2005 to survey the new generation of the web (Web 2.0) and provide in-depth coverage and reviews of the web's best products and services. Solution Watch quickly grew to 20,000+ subscribers within the first two years. Solution Watch has been inactive since late 2007 when focus changed to starting a design studio. Experience with Authorize.Net, PayPal, and PayPal Pro. WordPress, Drupal, Expression Engine, custom CMSs, theme building, custom plugin/module development. Geolocation using Google and Yahoo API's. 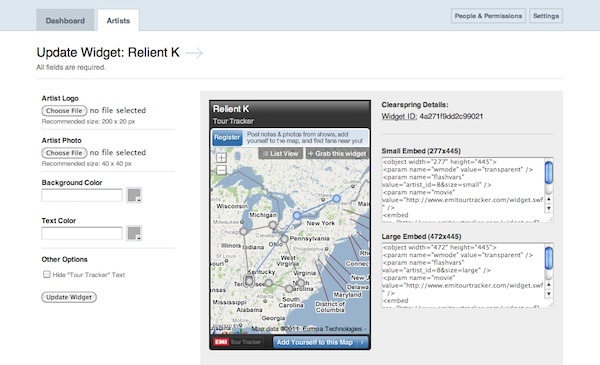 Geocoding, Geodata aggregation, Google Maps enabled applications. My work has a focus on usability and accessibility. Experience with video testing and persona development. I work with Subversion and Git. Experience with server configuration and setup with Apache, Nginx, Python, PHP, MySQL, and PostgreSQL. Experience with multilingual application development using custom dictionaries and Gettext modules. POT file translation with poEdit. Familiar with unicode methods for multibyte strings and character encoding. 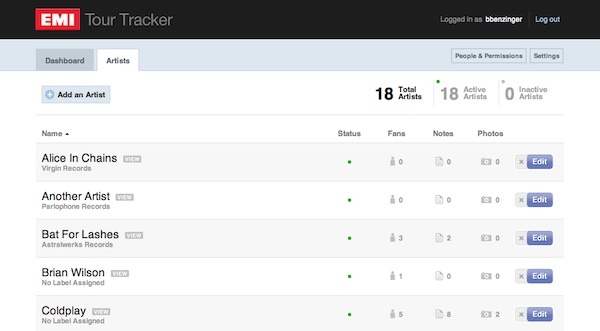 Facebook APIs and advanced MySpace theming. 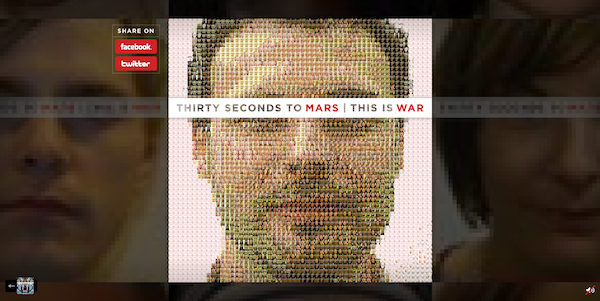 An infinitely zoomable mosaic containing thousands of photos of 30 Seconds to Mars fans for Capitol Records. I researched mosaic building techniques and came up with a very efficient solution that can render a photo into a mosaic containing 3,000+ photos in milliseconds. Binary calculations, Euclidean theorem, and DisplayObject blitting made it happen. Fans could even share a small scale version of the mosaic on Facebook or any website. 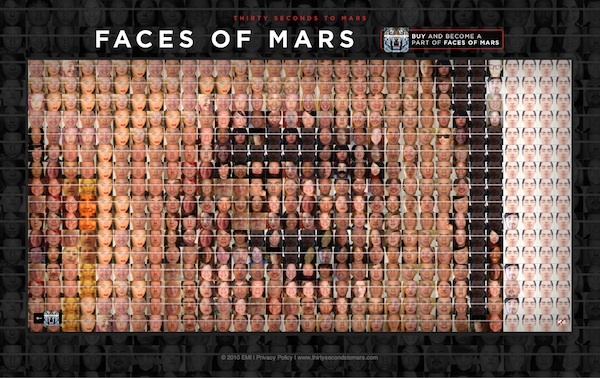 Give Faces of Mars a try. 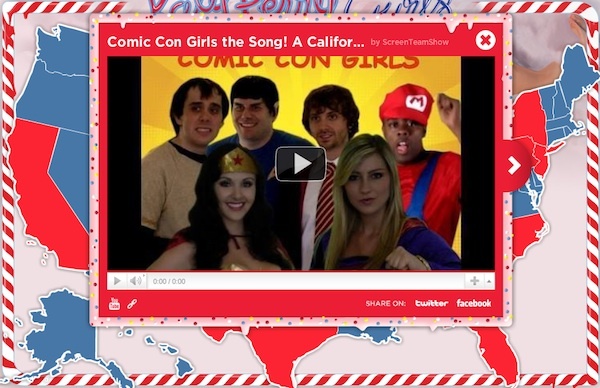 I worked with Parallel and EMI to build an interactive map for Katy Perry that showcased video parodies created by fans around the country for her hit song, "California Gurls". The result was a fun feeling map that integrates with the Youtube API and enables sharing with Facebook and Twitter. 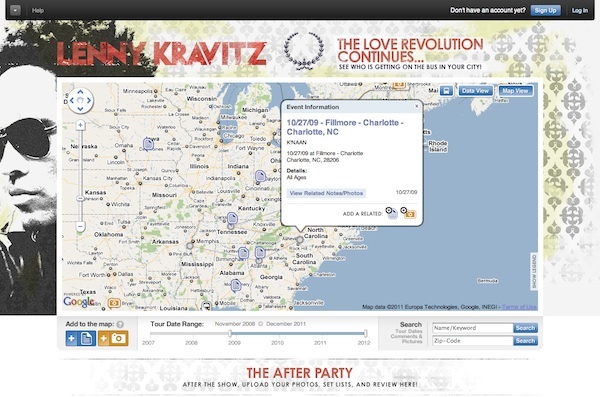 I worked with Parallel to develop an interactive tour mapping platform for EMI where fans can find their favorite artist, view tour routes, share photos, and more. 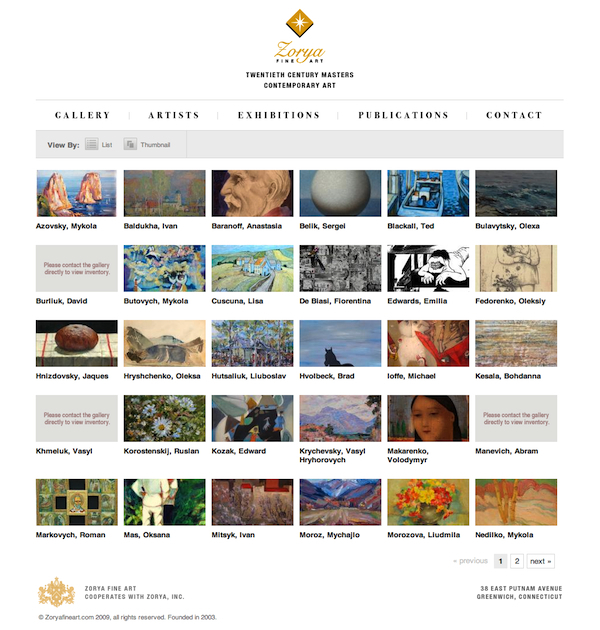 Artists can signup for their own sub-domain/domain and a hosted interactive tour map. 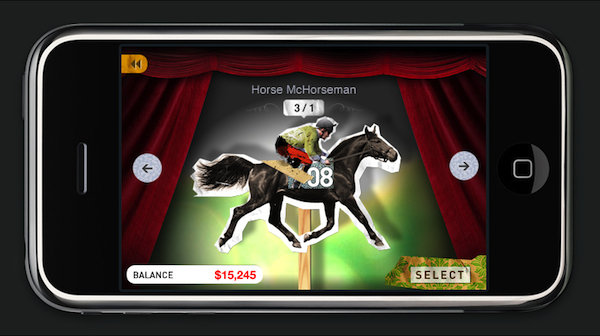 Place Your Bets brings the thrill of horse racing to the iPhone. 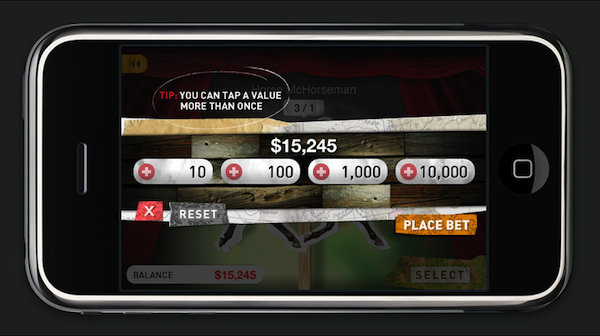 Players bet on a horse based on odds and hope they strike big. 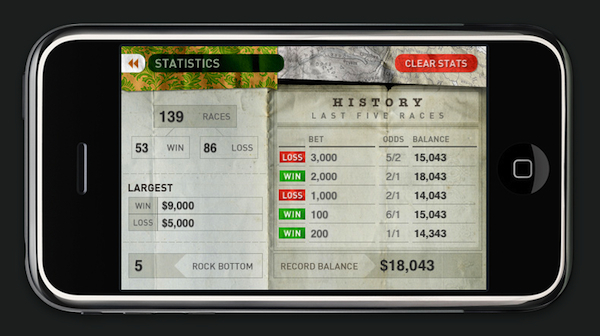 Features achievements and race statistics. 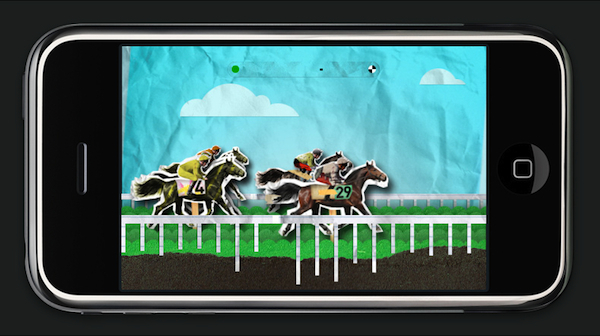 Place Your Bets was developed with Objective-C and primarily UIKit. 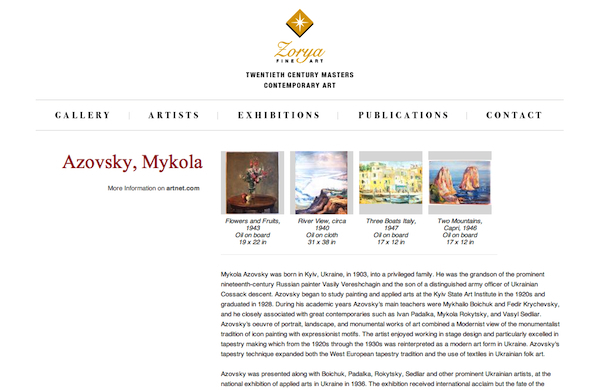 Zorya Fine Art needed a website overhaul and a custom built CMS to showcase work in their contemporary art gallery. 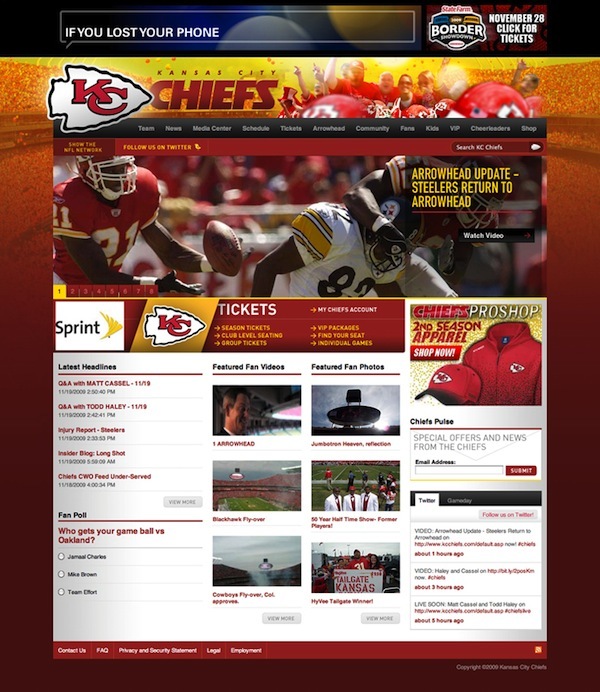 I was tasked to help develop a new website experience for pro football team, Kansas City Chiefs. 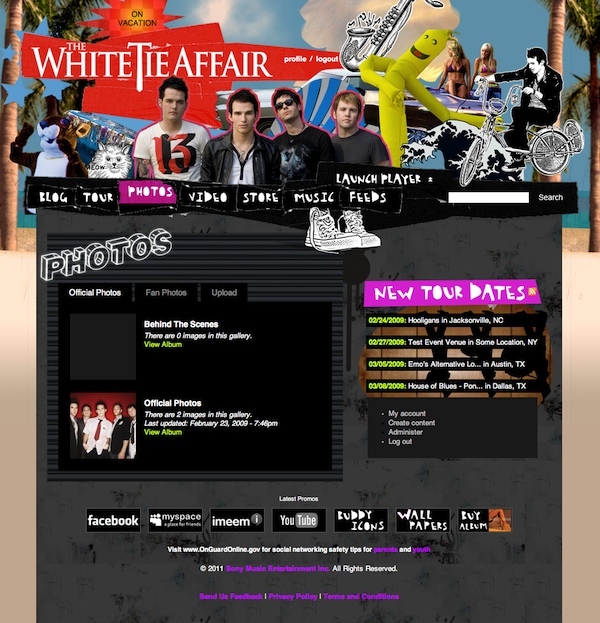 The website, built on top of an existing ASP.NET based CMS, got a whole slew of new social features including photo and video uploading, user profiles, and message boards. A personal project to create a unique code sharing service using the Django Python framework. The idea was to not only allow the sharing and storage of code snippets, but to also act as a social bookmarking service for developers. 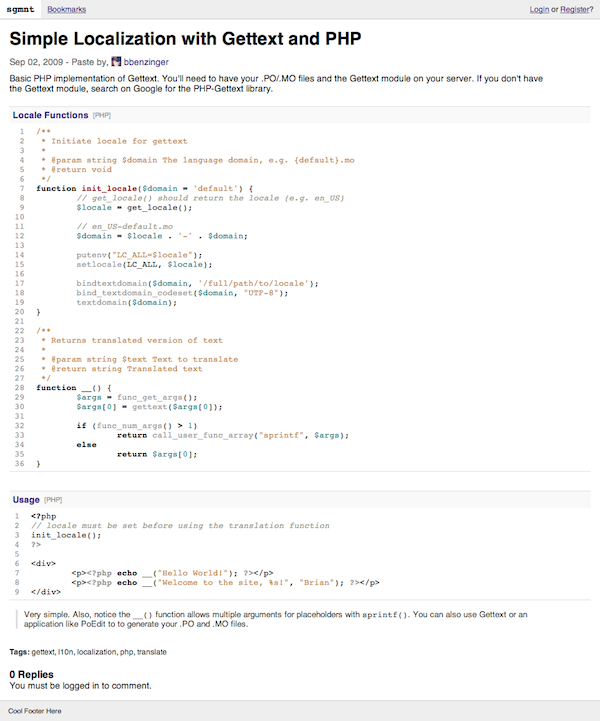 This way all code snippets and links are together. A website for the musical group Teatro developed at Parallel. 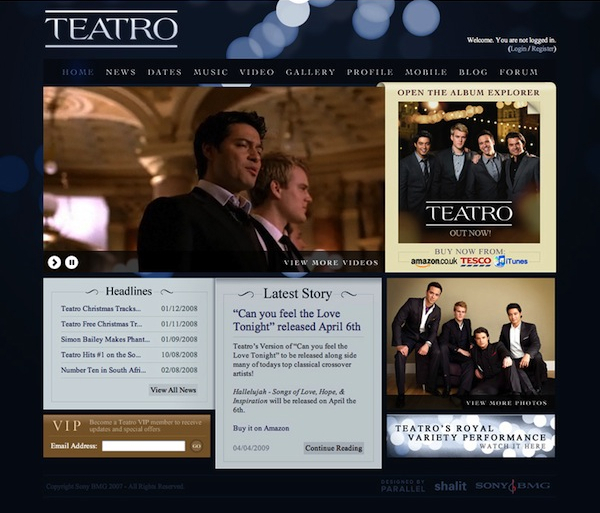 Teatro needed a system to manage their tours, music, galleries, and message boards. To us, the obvious answer was the ExpressionEngine CMS. 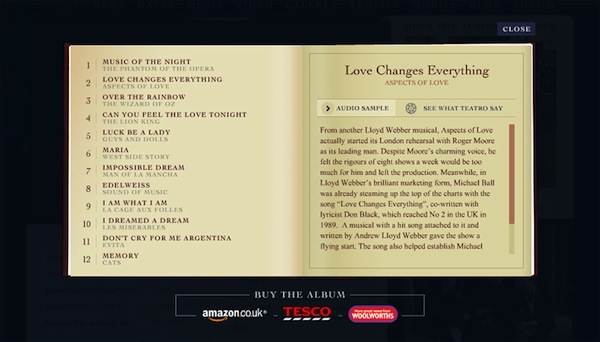 The website also featured custom media players and an interactive album. I worked with Parallel to deliver a network-wide redesign for ContentNext and their web properties, including paidContent.org, mocoNews.net, contentSutra.com, and paidContent:UK. We ran usability tests using video analysis and persona studies to provide the best possible browsing experience for their readers. 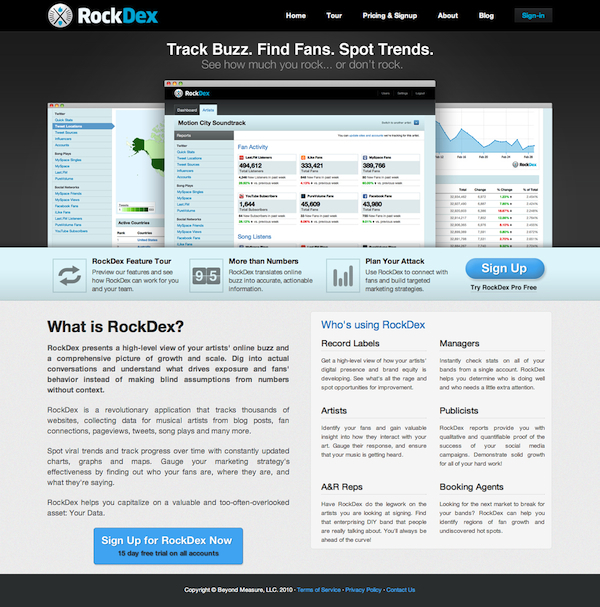 The redesign was deployed using the ExpressionEngine CMS with the help of the ContentNext team. I worked with Parallel to build a Drupal based system for Sony BMG that deploys social-enabled websites for recording artists. 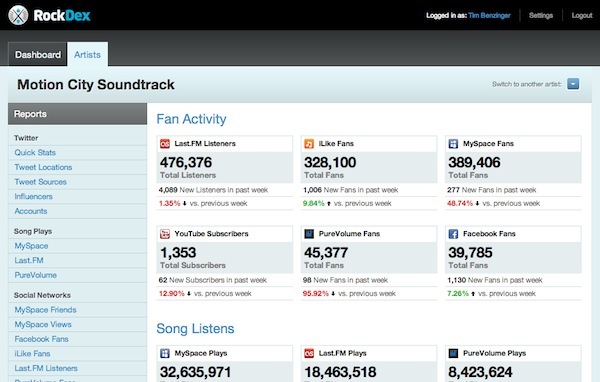 The system featured user profiles, photo sharing, blogging, commenting, event attendance, album listings, and twitter feeds. 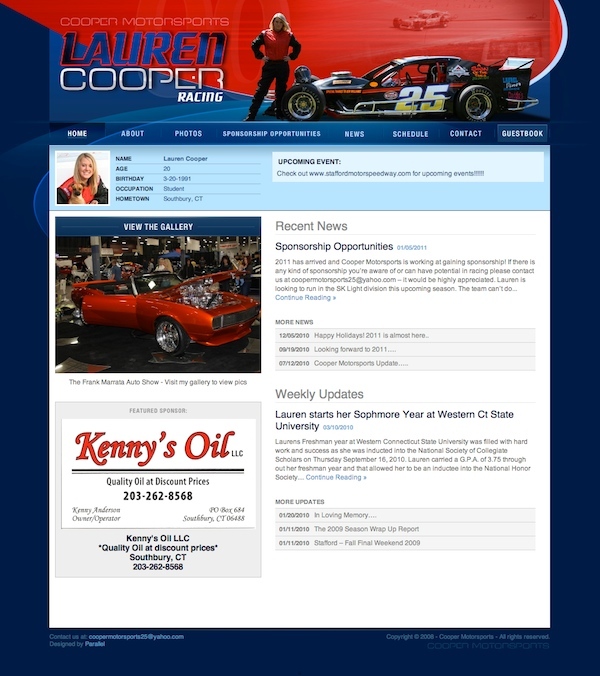 Lauren Cooper Racing needed a website with a content management system to easily publish news, photo galleries, sponsorship deals, and upcoming events for fans and sponsors. I decided to use WordPress as the CMS for its user-friendly administrative interface, automated maintenance, plugin options. 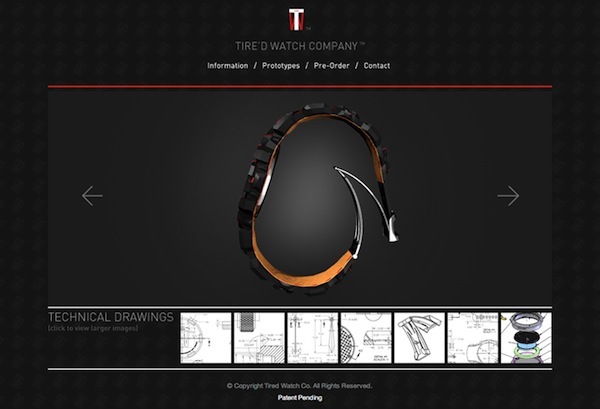 Helped developed an E-Commerce website for the Tire'd Watch Company that can maintain inventory of watches, take pre-orders, and handle shopping cart checkouts. 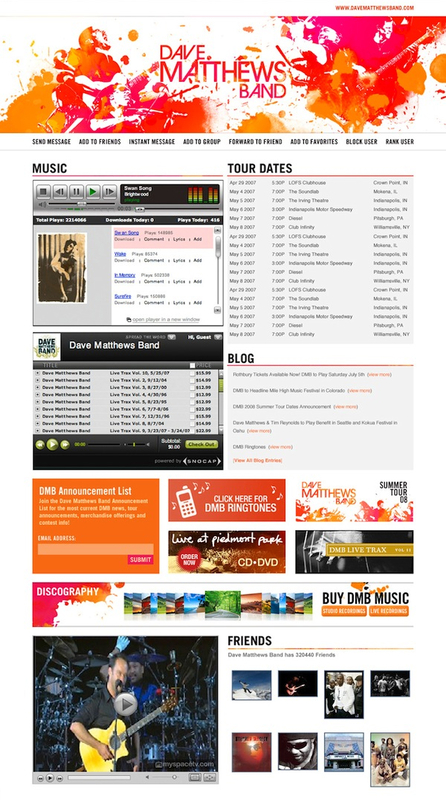 Coded a MySpace design for Dave Matthews Band which features a Coverflow like album carousel developed in ActionScript.